When you head to Starbucks for a much needed coffee, whether it’s because you need a caffeine boost to get through the day or because you just need a break, there is always a plethora of drinks to choose from. But what if you have a kid in tow? Do they feel left out when you’re ordering your caffeine filled drink? Well, guess what, they don’t have! There are some awesome Starbucks drinks for kids that may not be on the actual menu, but you can still order them – and they are caffeine-free! They will love the Starbucks drinks for kids, especially the ones that sound a little more complicated and fancy, just like the ones their mom and dad get. Plus, once the kiddos have a favourite drink, it’ll be great to take them to Starbucks for a one-on-one date! 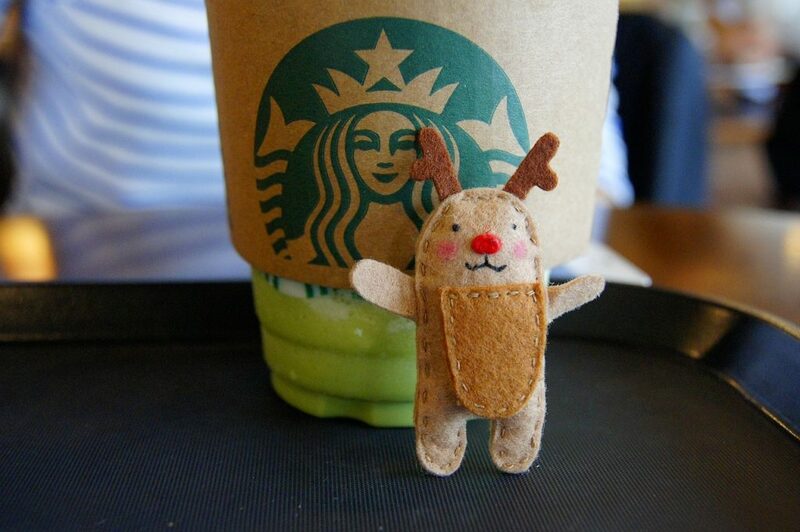 Did you know that there is a special kid’s hot chocolate on the Starbucks secret menu? It’s basically a short hot chocolate made at a lower temperature (so the kids don’t burn their tongues.) Topped with whipped cream, and priced at under $1.50, it’s perfect for the kids. You can also customize the milk used, the amount of sweeter, whip and as a bonus, a friend told me you can ask for shaved chocolate. Now that is a yummy treat! Another option for the kids is, you can ask the barista to take one of their fresh pressed juices (or even one of the juice boxes that Starbucks sells) and blend it with ice. Then voila, an instant slurpee or slushee for the kids! This brilliant idea came from my friend Jen at Mama Papa Bubba. When Mama and Bubba first discovered the blended drinks at Starbucks! This is a decaffeinated berry flavoured drink that’s perfect for a little person. You can even customize the amount of sweetener added to your liking. Most kids like milk, so a steamed milk (dairy or non) is a great option when it comes to Starbucks drinks for kids. And then you can spice things up by adding some flavours, like vanilla, caramel or cinnamon for a yummy hot drink that your kiddo can have with you on your coffee date at Starbucks! My daughter isn’t a big fan of hot chocolate (my son’s favourite) so one time the barista suggested a blended strawberry lemonade for her. The drink isn’t on the menu but you can still ask for it. It’s made with lemonade, strawberry puree, and sweetener. It was a hit with my daughter! The cuties over at Little Miss Mama’s place. 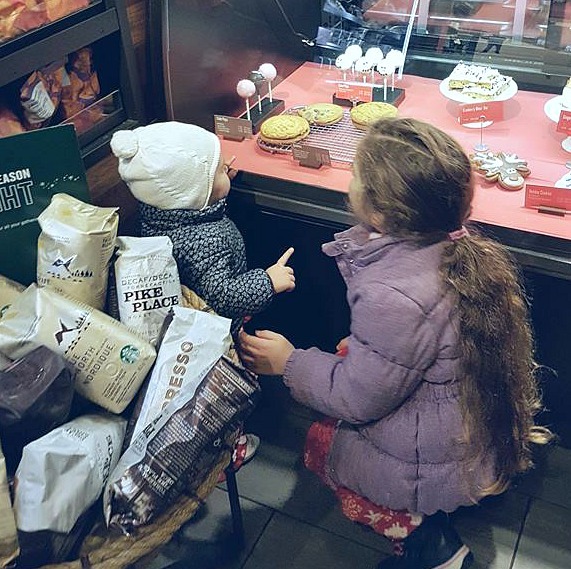 Those are some of the great Starbucks drinks for kids that you can order next time your little ones are with you on your coffee run. It avoids the kids having caffeine while still having a yummy drink. PS. If you don’t want to use straws in your drinks, other than you bringing your own reusable straw, another option is to ask them for the lid they use for their Nitrogen Cold Brew. It’s a flat lid with a spout so the kids can drink through it easily. My kids like it because they can pretend they are drinking coffee 😉 And it’s great to wash and reuse. 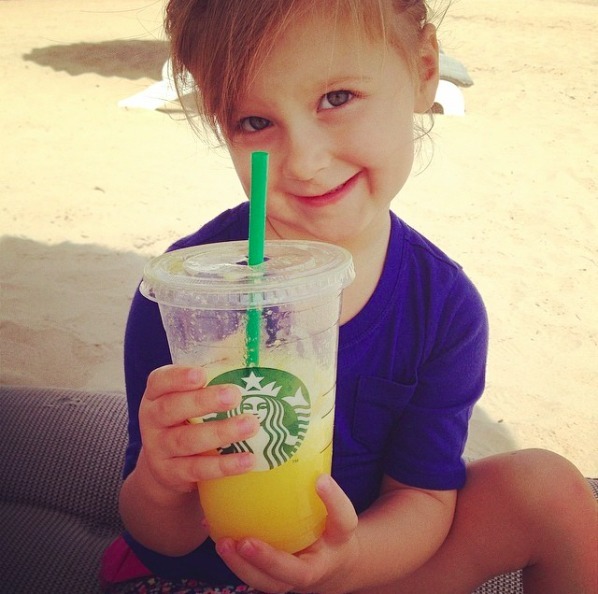 Do your kid’s have a favourite Starbucks drink? That’s so nice that you’ve continued the tradition Kristin!